Will Septoplasty Change the Outside Shape of Nose? Does the nose shape correct after septoplasty operation? - Can septoplasty change the shape of the nose? - Will septoplasty change the outside shape of nose? 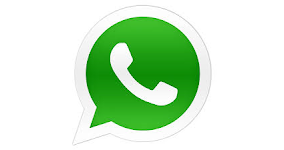 - Does septoplasty operation change nose shape? - Does septoplasty imporove nose shape? 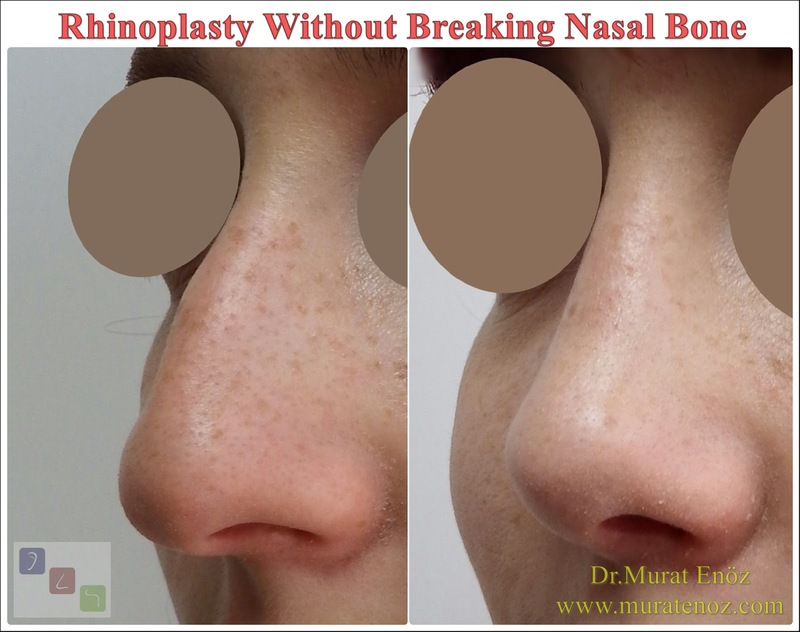 - Nasal septum deviation - Open technique septoplasty and nose shape - The shape of the nose generally does not change after the closed technique septoplasty operation! ﻿﻿The deviation of the nasal septum is a structure that divides the nasal cavity into two vertically, with a cartilage at the anterior part and a posterior bone structure. If the nasal septum is curved, a nasal cavity becomes narrower than the other, resulting in nasal congestion. When looking at the most prominent part of the nasal septum in a standing person, the closest part to the nostrils is called the "caudal septum section". Nasal congestion and mouth-to-mouth compliance symptoms do not occur in every individual with nasal septum deviation. Curvatures in the nasal septum are also referred to as "nasal bone curvature", which is not exactly the right expression. Nasal bone (os nasal) and nasal septum are separate structures. The nose causes various adverse health effects when the curvature of the septum cartilage is too high, or close to the narrowest pathway region within the nose. In patients with nasal septum deviation, it is not necessary to have a nose shape problem or deformity when viewed from the outside! In patients with nasal septum deviation, especially in the back and bottom section curvatures of the septum, it is not necessary to have an aesthetic problem in the nose. However, in patients with traumatic burr curvature, both nasal bladder curvature and cartilage curvature in the nose can be seen simultaneously. In the case of people falling on the tip of the nose beforehand, a visible curvature of the nasal septum can be seen so that the cartilage can be seen through a nostril. In this type of deviation, called caudal septum deviation or anterior septal dislocation, asymmetry at the nasal tip and simultaneous curvature of the nasal tip cartilage can be seen. 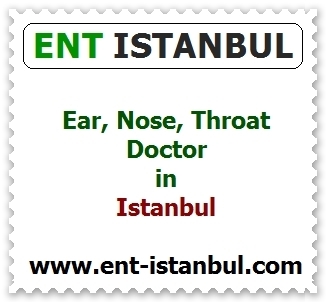 If the nasal septum deviation is symptomatic, that is, if the patient causes nasal congestion, the only treatment is surgical removal of the curved areas in the nasal septum cartilage and making the septum flat. 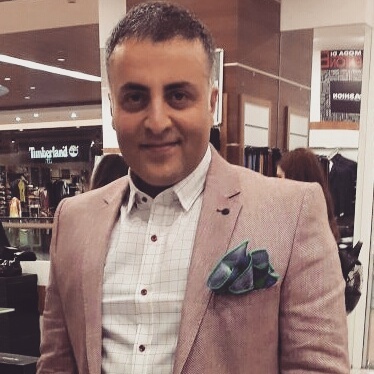 Nose bone curvature offered as a natural solution, please do not believe in herbal products on the internet. For the treatment of nasal septum deviation, septoplasty operation can be performed, which is usually done through closed nostrils. After removal of the mucoperichondrium above the septum (submucoperichondrial dissection), the curved cartilage areas are removed. Almost identical or very similar processes, also referred to as "submucous resection" or "SMR surgery", are performed. This process usually takes 15-20 min. If the deviation of the septum is close to the nostrils, "open technique deviation surgery" or "open technique septoplasty surgery" is performed. In open technique cartilage curvature surgery, which is similar to open technique nasal aesthetic surgery, the cartilage curvature is corrected, while the nose tip support is reconstructed. 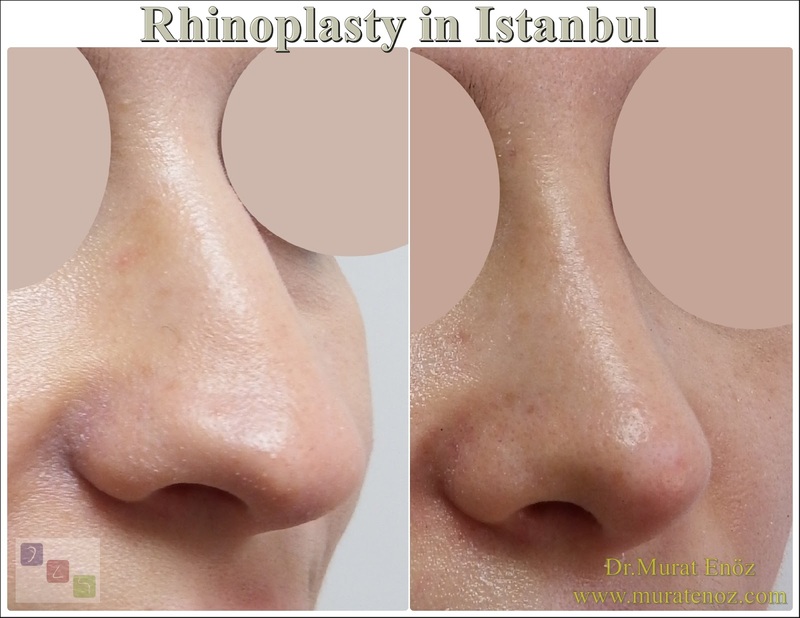 The shape of the nose generally does not change after the closed technique septoplasty operation! I would like to expand this title a little, when the deviation surgery is done with a closed technique, the nose support cartilage is not damaged. Depending on the internal nasal silicone splints that remain only for 1 week, the nose may be wide and edematous. Nose bone curvature surgery, usually after a few days of silicone splint removal, may notice that the nose shapes are as before. 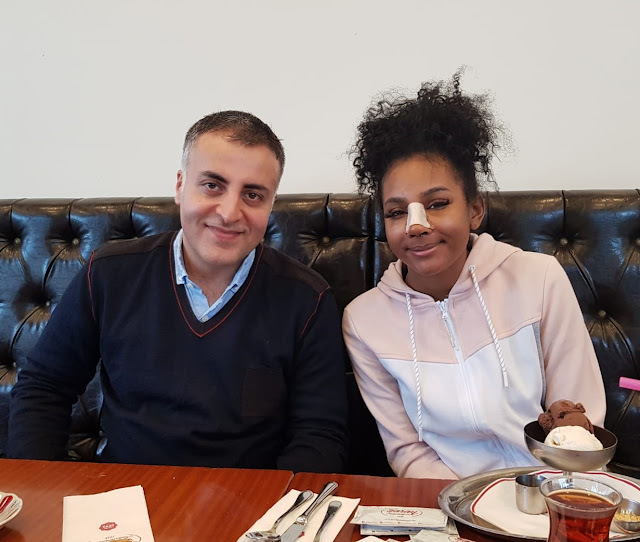 Since the nasal bone curvature surgery does not touch the cartilage and the nasal septum cartilage, which usually form the nose, there is no bruising and bruising on the face. When the deviation surgery is performed with open technique and the nasal tip support tissues are reconstructed (in the anterior septal dislocations, when the lower part of the septum is placed in the back of the collapse), the nose tip can be lifted forward and upward. During septoplasty operations, when the nasal support tissues are damaged, a fall in the nose tip, a fall in the nose back, and even a nasal septum hole (nasal septum perforation) may occur. Do not wait until the deformations outside your nose are resolved with deviation surgery! Some of our patients who came to be a monotonous operation, rightly thought of the term "nasal bone curvature" and thought that the shape of the nose could be affected after the surgery and that the nostril was touched. Do not expect problems such as the nose arch, the asymmetric areas in the nasal bone, the nose ridge, and a simple closed technique deviation surgery after the "cartilage curvature operations" in the nasal septum curvature. Deviation surgery lasts about 15-20 minutes, while other nose-shaped procedures may last for 2 to 3 hours. If you want the nose shape to improve at the same time, you will be helpful to talk to your doctor in detail about the nasal problems that bother you. 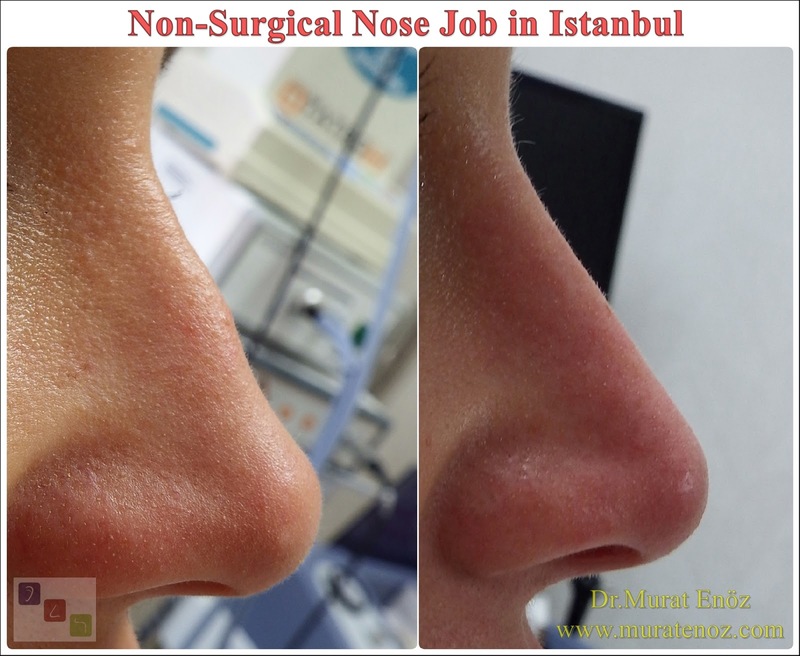 Nose tip lifting and deviation surgery can be performed at the same time with open techniqu septum deviation cırrection surgery. Can septoplasty change the shape of the nose? Does the nose shape correct after septoplasty operation? 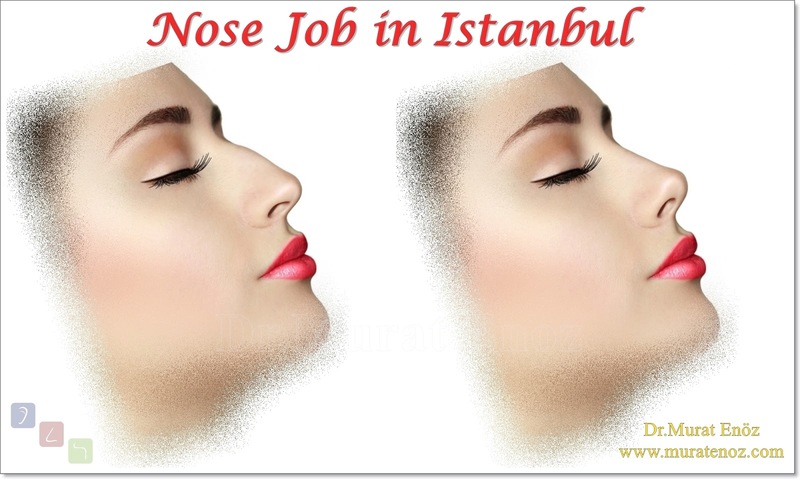 Nasal Septum Deviation Will septoplasty change the outside shape of nose?